By Allan Fox: After 16 years as a pro, former IBF super middleweight champion Lucian Bute has officially retired from boxing. Bute, 39, made it official that he retiring from the sport in a news conference on Wednesday in Montreal, Canada at the Bell Centre, one of his favorite venues during his long career in boxing. The Canadian based Romanian Bute has a lot to be proud of for his great career. He was considered one of the best fighters in the super middleweight division for many years in holding the IBF title from 2007 to 2012. The 39-year-old Bute (32-5, 25 KOs) hasn’t fought in two years since his fifth round knockout loss to Eleider Alvarez in February 2017, and he’s been beaten in five of his last seven fights. It was pretty clear that Bute was heading for retirement in the last couple of years of his career. It’ll be sad to see Bute walk away from the sport, but it was obviously time. Bute had been beaten five times in the last seven years of his career. Bute never seemed to come back from a fifth round knockout loss to Carl Froch in May 2012. 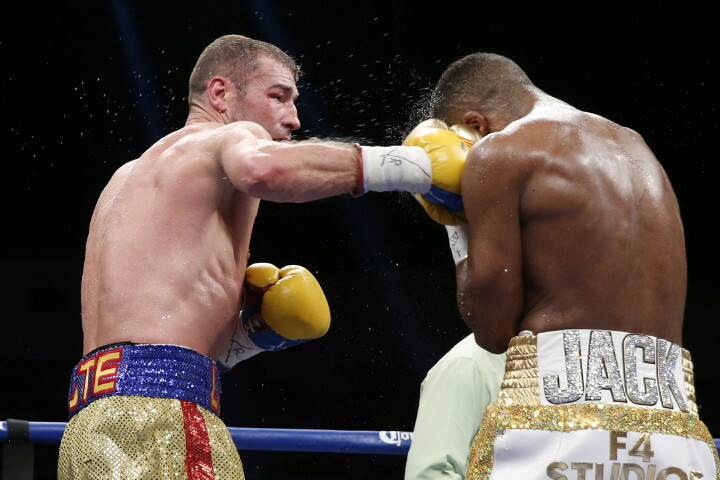 That loss was the beginning of the end for Bute, as following that defeat, he lost five out of his last seven fights. One of those wins was a controversial one against Denis Grachev in his fight after his loss to Froch. Grachev hurt Bute at one point in the fight, and he landed a lot of shots against him. Bute looked like a shell of the guy he’d been before his loss to Froch. “It’s time to turn the page. Today, here, officially, I announce you that I retire. This is forever. If I say, ‘It’s over,’ it’s over for real,” Bute said via ESPN.com. The southpaw Bute defended his International Boxing Federation super middleweight title nine times before losing it to Froch in 2012. Along the way, Bute got lucky in his first fight against Librade Andrade in October 2008 when the referee made sure that Andrade was in the neutral corner after he’d hurt Bute in the 12th round and had him close to being knocked out. A lot of fans felt that Bute would have been beaten in that fight if the referee had resumed the action quickly after he’d been hurt by Andrade. Bute did a good job of redeeming himself in the rematch with Andrade in stopping him in the fourth round in 2009. Bute’s best wins of his pro career came against Alejandro Berrio in his 11th round stoppage win in 2007 to win the IBF title, as well as his victories over Andrade, Sakio Bika, William Joppy, Lolenga Mock, Glen Johnson, Fulgencio Zuniga, Edison Miranda and Jesse Brinkley. Bute struggled after losing to Froch in 2012 unfortunately. After that loss, Bute would later lose to Badou Jack, Eleider Alvarez, and James DeGale. It’s unclear whether Bute would have lost to any of those guys earlier in his career when he was at his best. He was getting up there in age by the time he fought those fighters. Bute’s fight against Jack in 2016 was originally ruled a 12 round draw, but it was later changed to a 12 round disqualification defeat for Bute after he tested positive for a banned drug. Bute’s defeat to Froch could have been avoided had he not made the tactical mistake of retreating to the ropes in the fifth round. Bute had been fighting like that his entire career, and getting away with it. But against Froch, a fighter with heavy hands, it was a critical error on Bute’s part to retreat to the ropes. After losing to Canadian based fighter Eleider Alvarez by a fifth round knockout in 2017, Bute started to think about retiring from boxing. The southpaw Bute stopped fighting altogether, and remained inactive until making it official on Wednesday that he was retiring. Perhaps if Bute were younger and still dominant, he might think of staying on, but he’d been struggling for a while. Unlike most fighters, Bute chose to continue to fight high caliber opposition after his loss to Froch in 2012. In four of Bute’s last five fights, he took on Jean Pascal, James DeGale, Badou Jack and Eleider Alvarez. It’s no wonder that Bute lost the majority of the last seven fights of his career. He wasn’t taking a breather from fighting the elite level fighters towards the end of his career. If Bute had mixed in a few confidence boosters after every loss, he likely would have done a lot better, but he wouldn’t do that. A lot of Bute’s former trainers and promoters attended his news conference to announce his retirement from boxing. It was nice for them to show up and see him off into retirement. Along with Adonis Stevenson, Jean Pascal and Eleider Alvarez, Bute was one of four very talented Canadian based fighters during the last decade. David Lemieux should be added to that list as well. The loss effected Bute mentally rather than physically in making him too cautious, and unwilling to trust his chin by staying in the pocket against bigger punchers. This in turn made his fights harder to deal with because he couldn’t stand and battle the more talented fighters the way he needed to do in order to have a shot at beating them. The guys that Bute lost to at the end of his career would have been just as much trouble for him as they were in facing him late in his career. But was never matched against talented guys until the end of his career, and he really struggled once that happened.